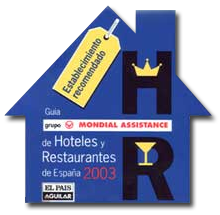 Our hostal is located in the historic center of Madrid, near Puerta del Sol and next to the most emblematic zones of the city. The district where the Lido Inn is located is the District of the Letters, very concurred as much by day as at night, it is now zone of taverns where to taste the best covers of the city and to enjoy the nocturnal life characteristic of Madrid. The District of the Letters receives the name because it welcomed in the most famous writers of the Gold Century of Spanish Literature like Cervantes, Lope de Vega and Quevedo. Walking from the inn it can visit the great majority of tourist zones of Madrid as they are Puerta del Sol, Plaza Mayor, Gran Vía, Palacio Real, Plaza de Cibeles, Museo del Prado, Reina Sofia as well as commercial areas, restaurants, theaters, cinemas, discos and bars. The hotel has 11 rooms, several exteriors and other that they give to a luminous, great and calm patio, with complete bath, television, refrigerator, air conditioned and wifi conexion. Our device is that our customers have the feeling of being at home and not in one hostal.